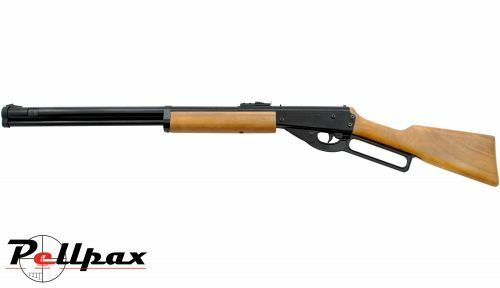 The Marlin Cowboy is a classic, entry level air rifle, designed for teaching the true skill of marksmanship, and safety. The rifle is cocked by pushing down the Winchester Style under lever, and once the trigger is pulled, it fires BBs up to 350 FPS. The All Metal Receiver, is stamped in real metal, and the stock is finely finished hardwood for a great feel. The reservoir holds up to 700 BBs for a great shooting experience. Add this item to your basket & spend an extra £430.01 to apply for finance.